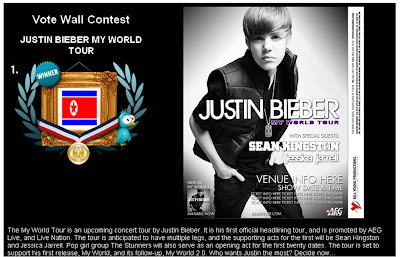 So a landmark win for the North Koreans and a groundbreaking concert performance coming up? Er, no. 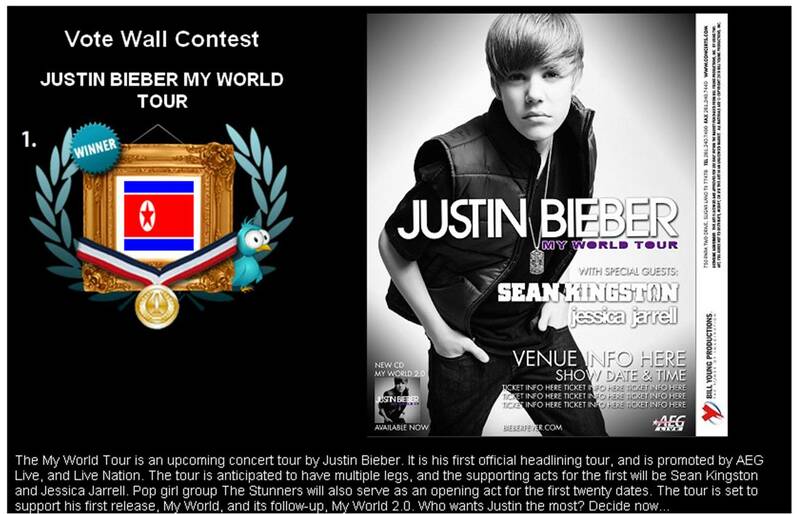 North Korea is one of the least connected countries in the world and it is doubtful that 659,141 North Koreans would have been permitted to go online to vote in a Justin Bieber concert poll. The North Korea win was a result of the poll being hijacked by messageboard 4Chan who (are reported to have) encouraged members and friends / followers to vote for North Korea, 'corrupting' the results of web democracy in the same way that they manipulated the voting in the Time Top 100 most influential people poll in 2009. Others have nearly been caught out with this sort of thing in the past, only being saved by introducing a final shortlist with the winner chosen by judges, for example the new Wembley Stadium Bridge was close to being called the Dietmar Hamann Bridge after the naming contest was hijacked by an anti-English alliance. The Justin Bieber world tour vote shows how viral attention can drive unpredictable results. The advance planning for any kind of UGC contest should therefore include a discussion about how much control to maintain. 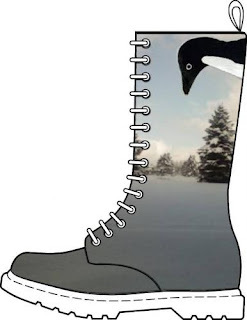 Too little and you end up having to tour North Korea or producing a Penguin Snow Boot, too much and there is no 'fun' to be had for internet users and the potential for viral spread is limited. There is wisdom in crowds, but there can also be a cheeky subversiveness too - and both eventualities need to be prepared for! Implying 659,141 votes = 659,141 voters.